A U.S. Air Force B-2 Spirit over the Pacific Ocean in May 2006. 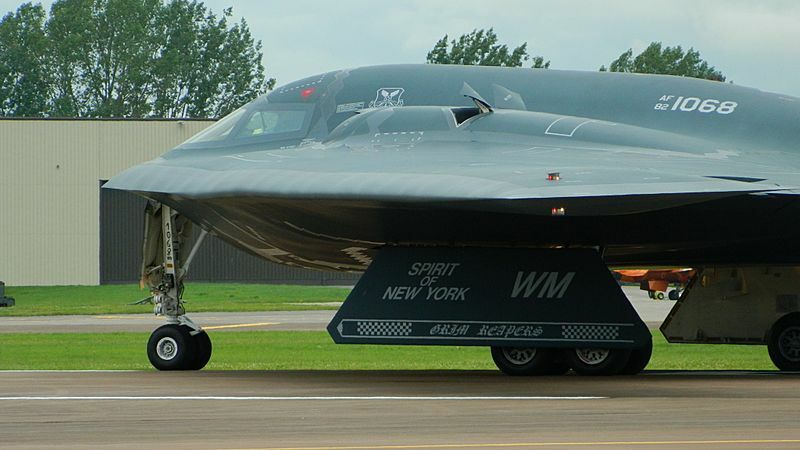 The Northrop Grumman B-2 Spirit, also called the Stealth Bomber, is an American strategic bomber. It has a lot of stealth technology, and it is designed to get through many anti-aircraft defenses. It can drop both conventional and nuclear weapons. Two people fly the bomber, and it can drop up to 80 500 lb (230 kg)-class JDAM GPS-guided bombs, or sixteen 2,400 lb (1,100 kg) B83 nuclear bombs. The bomber began being designed as the "Advanced Technology Bomber" (ATB) during the Carter administration. The designing of the ATB continued during the Reagan administration. The bomber was designed and is made by Northrop Grumman, with help from Boeing. Each aircraft cost US$737 million (in 1997 dollars). Because the bomber is very expensive, the project was controversial in the U.S. Congress. The end of the Cold War meant that the bomber was not really needed anymore. Congress wanted to buy 132 bombers, but during the late 1980s and 1990s, Congress reduced this to 21. 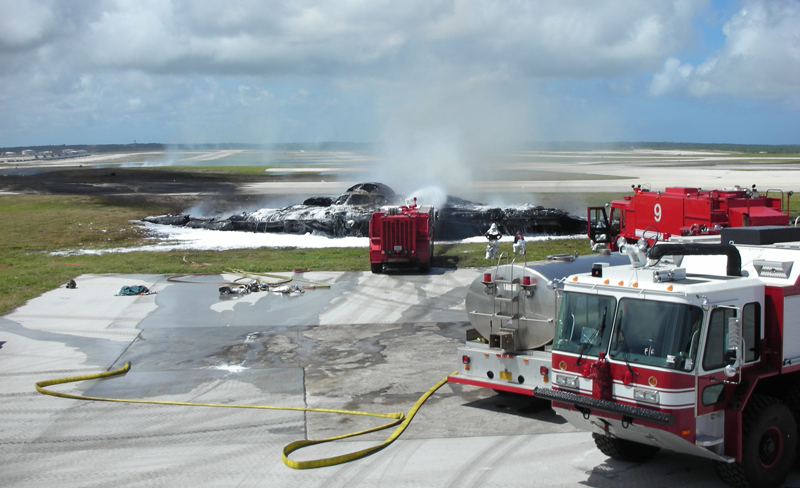 In 2008, a B-2 was destroyed in a crash shortly after takeoff. The crew got out safely. 20 B-2s are being used by the United States Air Force. 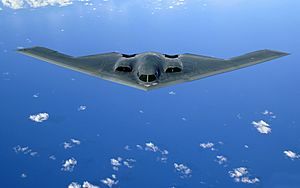 Although the B-2 was supposed to be a mainly nuclear bomber, it was first used in combat to drop normal bombs on Serbia during the Kosovo War in 1999. It was used during the Iraq War and it is being used in the war in Afghanistan. Northrop Grumman B-2 Spirit Facts for Kids. Kiddle Encyclopedia.